I have heard this sentiment expressed by senior executives in various forms over the years and many will have some sympathy with that point of view. There is more than just a cost avoidance mentality being expressed here: many of these executives will have experienced to some extent the disruption that a major system implementation produces. It is usually the memory of that pain that endures, rather than a quantified objective measurement of the benefits (benefits tracking – often spoken about, rarely performed). I accept of course that an upgrade to your core back office systems is always going to be expensive and disruptive, but if the last time you implemented SAP or carried out major end-to-end process reviews was more than ten years ago – then sorry, but you’ve fallen behind and you may be missing a great opportunity. But then you probably already know that, as implementing new systems and keeping up with the expectations of customers and your business partners/suppliers is becoming more and more challenging with your current ERP infrastructure. There are many analogies that can be used to describe your SAP investment (but I’m not referring to the rude ones often heard)! You could look at it in terms of a building. What if you managed SAP like you manage your buildings? When you need a new office or factory building you buy or build it first, put lots of rooms inside and designate them to become the places you carry out specific activities. Over time you will expand some of these activities and often you will build extensions to accommodate new processes. 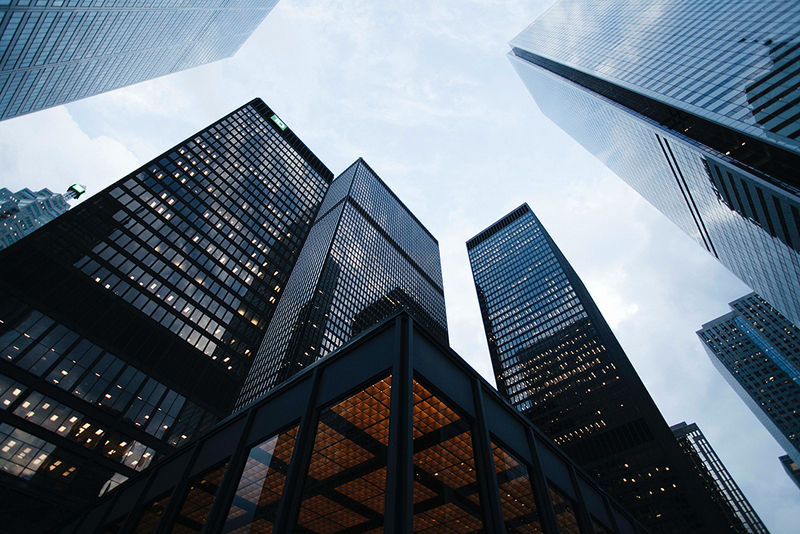 These might be in other buildings or locations, so the tricky bit is interconnecting them – and over time your simple beautiful new building comes to resemble something more like a Jenga tower than a place to run an efficient business. Or worse still, a ramshackle collection of buildings with inefficient connections or a large amount of manual toing and froing to keep your business going. If your system was something tangible, something that you saw every day you drove into work, you would see that over time it was getting out of hand, it would be obvious to you that it was time to change. If you have SAP ECC6, then you will probably be at or near this stage. Your business has almost certainly changed significantly since you installed SAP; you maybe did a technical upgrade with no new functionality five or six years ago and you’ve bought or built many other systems that need to be properly integrated. Gradually this Jenga of a system is creaking, and the thing about this is – that just like Jenga – if you try to fix a wobble in one place there is a high risk that the whole system will crash around you! There comes a point where you have no real choice but to take stock and decide what to do. But then there is all the hype about the new systems on offer and not just the systems but also where and how to locate or host them. When cloud services first emerged there was some justifiable reluctance to embrace them: why would you risk your business by asking someone else to look after it? In 2019, however, there is sufficient evidence and momentum pointing to the fact that cloud is almost unavoidable: there are few businesses now that have absolutely no cloud applications deployed. So, as you consider replacing the building that I described, one of the first things to think about is “Do I even need to own a building, with the associated maintenance headaches and risks?” The question to consider is “What if I just rent someone else’s building?”. The other point to remember is that SAP has said that from 2025 it will stop supporting your “building” and they have lots of new – and quite impressive – stuff to sell you to attract you to move. But why hasn’t every other organisation made the move yet? Perhaps it is in part that there is a perceived risk to being an early adopter: you often have to work through the bugs and drawbacks typical of a new implementation – and that is a valid perspective which, with a bit of research, can be assessed: there are now enough reference customers to talk to about their experience. For most businesses, I believe, the rationale for upgrading lies first in unravelling that Jenga pile of processes and systems and simplifying your processes. When you have identified them, you can begin to look objectively at your system needs and migration options. In an IDC survey* that SAP commissioned, reduced cost and improved employee productivity were cited as key benefits that had emerged. This is particularly the case where the business took a determined approach to minimising customisations and simplifying their processes. Whatever state your current “building” is in, if it is still running on ECC 6 then it is time for a review: 2025 is not that far away in terms of these types of implementations. Planning your roadmap carefully for the next few years could save you a significant amount of money and grief – and put your business on the front foot.